Reigning Independent Teams’ Champions Motorbase Performance will field an expanded three-car squad next season after securing a third TBL (TOCA licence) for its 2017 Dunlop MSA British Touring Car Championship title assault. Following the Kent-based outfit’s most successful season to date – which saw David Bartrum’s team commemorate its 10th Anniversary in the championship by taking top honours in both the Independent Teams and Drivers’ standings – the Team Boss confirmed that 2017 preparations are already well underway. 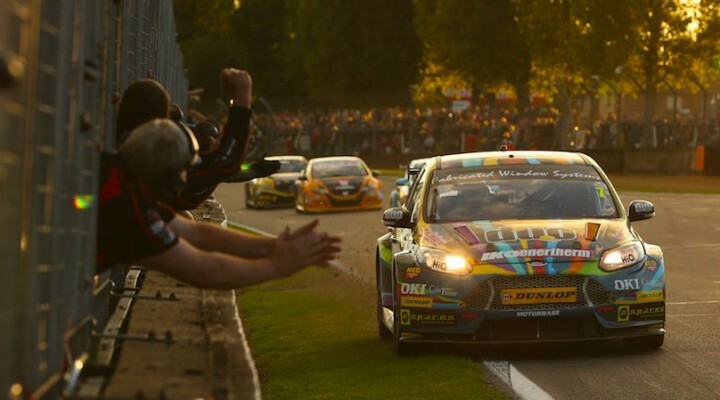 The squad’s Focus ST was one of the highest performing cars on the grid this season securing 7 wins and 7 podiums, with a further 15 Independent race wins and 21 podiums shared between the #7 and #77 Motorbase-built machines. Mat Jackson also jointly topped the table of most race wins for the season – taking 5 outright wins in the #7 Focus as well as the enviable accolade of having led the most laps during the 30 round championship. With a renewed focus on challenging for the overall BTCC crown, the Motorbase Performance team will be taking a sabbatical from GT racing with both of the team’s race winning Aston Martin V12 Vantage GT3 machines now up for sale. After five consecutive seasons competing in the British GT Championship and a further three seasons in the Blancpain Endurance Series, Bartrum feels that the time is right for the team to go ‘back to its roots’ and to centre his squad’s efforts on the UK’s premier motor-racing series. “We’ve enjoyed five fantastic years racing in the GT world – taking both the overall Driver and Team Championship crowns in the British GT Championship and podiums in the Blancpain Endurance Cup and Gulf 12 Hours;” explained Bartrum. “We’ve raced with and against some great people in that time and it’s by no means the end of sports car racing for Motorbase, but I feel that it’s the right time for us to regroup and to put all of our efforts into building on last season’s BTCC success.